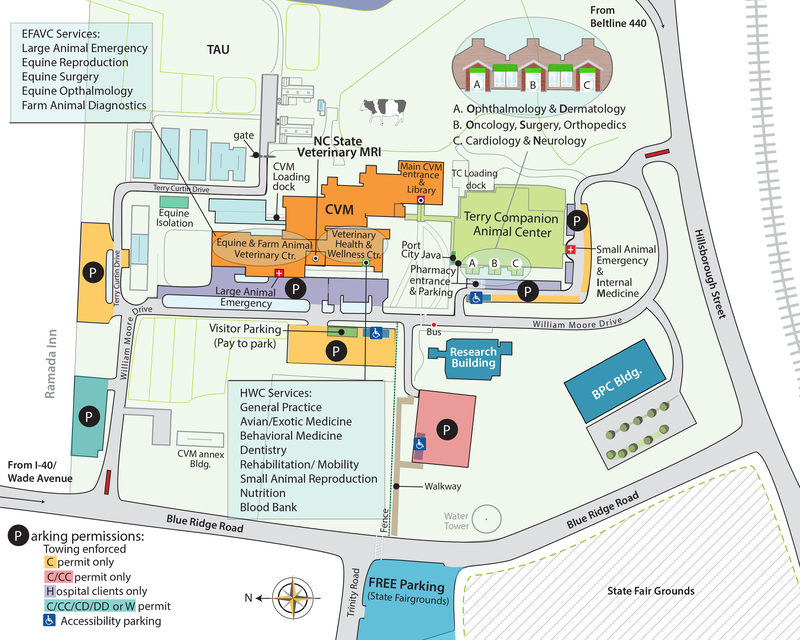 Advance patient care through discovery and innovation. Provide experiential learning that prepares all our trainees for success in their futures. Harness the strong caseload to achieve our educational mission and sustain a healthy work environment. Partner with the veterinary community to provide compassionate and comprehensive care. 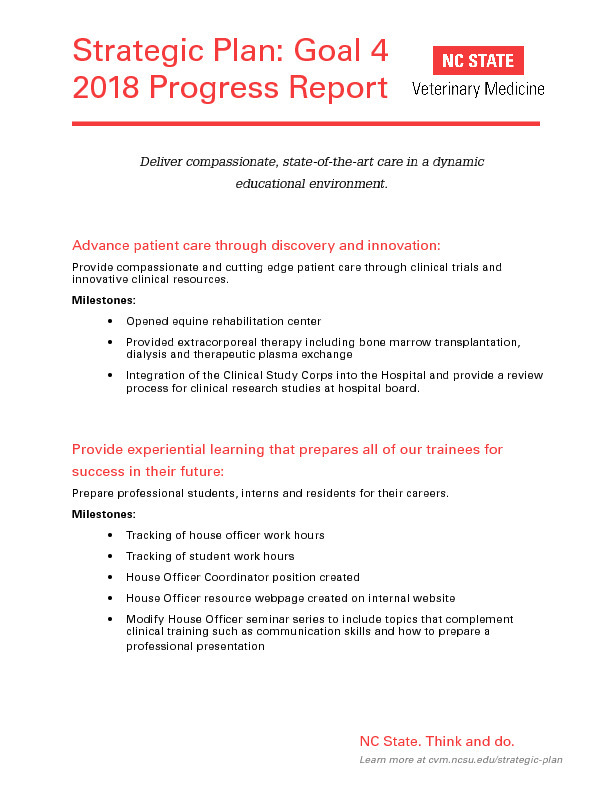 Achieving a caseload that supports our educational, clinical innovation and service goals. Surveys of patient outcomes and client satisfaction. House officer training program success documented through exit surveys, board certification and employment outcomes. Climate surveys assessing work environment. Continue innovative clinical research to benefit patient care. Tracking of house officer work hours, which will initially allow us to quantitate the average number of hour’s interns and residents, are working/week. This is initially being done using a cell phone application. Long term this study will be expanded to identify what tasks are being performed during the workday that may be accomplished by staff rather than house officers. 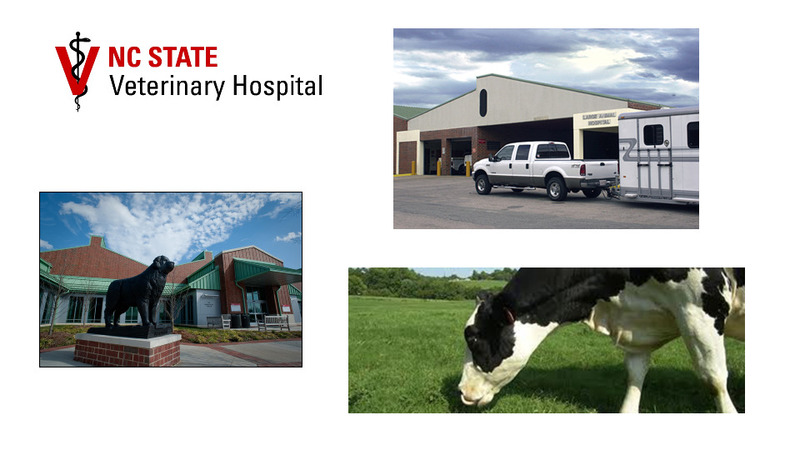 The Small Animal Emergency Service will discharge cases that are non-emergent rather than transferring to specialty service when the specialty service is too busy to meet patient care and education goals. Creation of Small Animal and Equine Practitioner Advisory Council (SA-go-PAC and EQ-go-PAC) which meet quarterly and provides insight into the Hospital’s goal of meeting the needs of clients and the referring veterinary community.